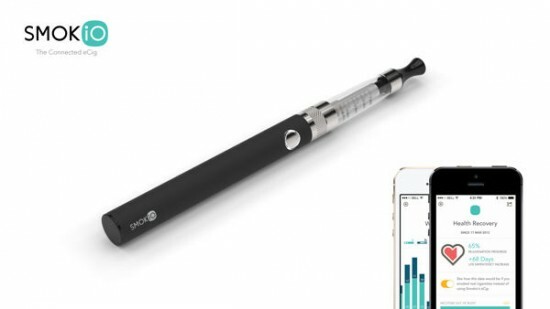 People have been talking about smart electronic cigarettes able to connect to modern gadgets like smartphones and tablets, letting you track your use, and most people agreed it was only a matter of time until such a device became a reality. It appears they were right. 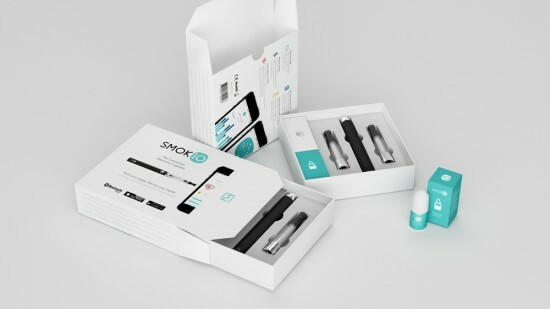 Smokio, “the world’s first connected electronic cigarette”, was created in July 2013, in Paris, France, by a team of young electronics and software enthusiasts who “believe that a simple or small twist can have a tremendous impact” In the case of Smokio, the twist consists of a small chip inside the battery that allows users to synchronize the e-cigarette with their iOS or Android gadgets via Bluetooth technology, and track everyday use. 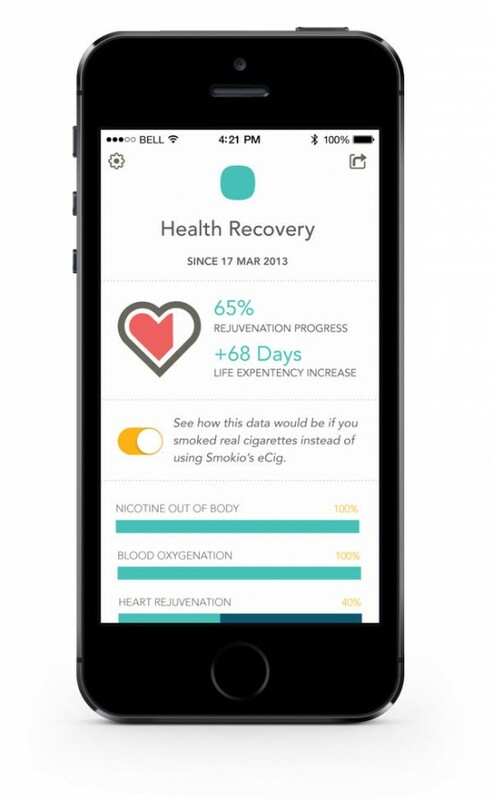 It records and displays all kinds of useful information, like how many puffs you take, when and where you vape, as well as the number of nasty tobacco cigarettes you have avoided and how much of your health you have recovered since the switch. Smokio’s Health Recovery stats include Life Expectancy Increase, Blood Oxygenation, Lung Capacity, Heart Rejuvenation and Taste&Smell recovery. 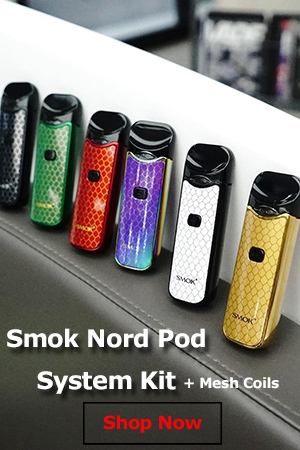 With the Smokio smartphone and tablet app you can also regulate the vapor volume of the e-cigarette, monitor its battery level and calculate how much money you save by quitting analogs. So how does Smokio work? It’s actually very simple. 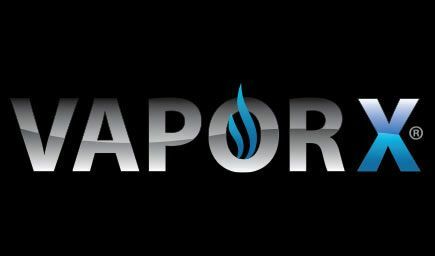 You just screw on your cartomizer, clearomizer or tank, turn on the battery, like you would with a regular electronic cigarette, download the mobile app on your phone or tablet and connect the two devices. It only takes a few seconds, and contrary to what you might think, you don’t need to keep Smokio close to your handheld at all times. The smart e-cigarette has an internal memory of up to 2,000 puffs, so you only need to synchronize the gadgets every 3-4 days in order to transfer the data and keep the information up to date. The wireless sync occurs automatically wen you open the mobile app, provided the Smokio is in a range of 10 meters. The Smokio smart electronic cigarette can only synchronize with smartphones and tablets equipped with Bluetooth Smart (a.k.a. 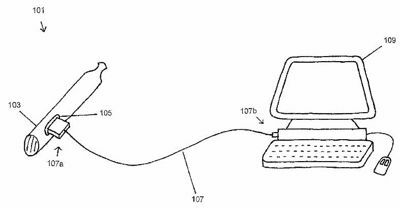 Bluetooth Low Energy) technology, and so far developers have focused on making the app. compatible with only the most popular devices on the market – iPhone 4S, iPhone 5, iPhone 5C, iPhone 5S, iPad 3 and higher, iPad Mini, Samsung Galaxy SIII and S4. 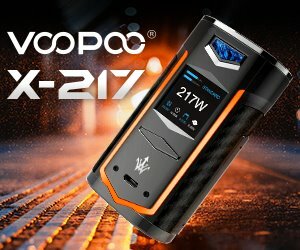 As Smokio prepares to go into mass production, more devices will be added to the compatibility list. The Smokio starter kit includes one 900 mAh eGo-style battery, two clearomizers, a USB charger and a bottle of nicotine-free e-liquid. The battery looks like a reguar eGo, except for the manual activation button, which sits flush with the battery, like that of the 777 Bullet. 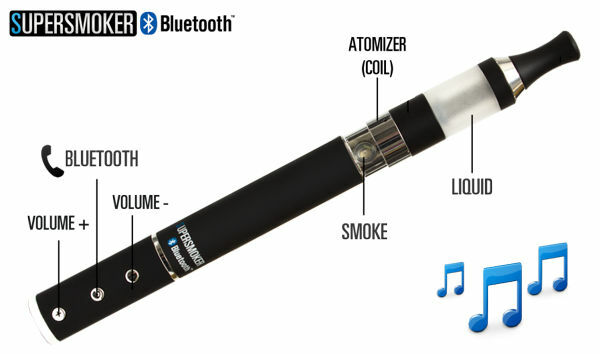 Unfortunately, the Smokio connected e-cigarette is not yet available for purchase. Its developers are apparently getting ready to launch a funding campaign on Kickstarter, so keep an eye out for it on the popular crowdfunding platform. According to the product’s official website, Smokio will be ready for shipping in February 2014, at a price of €79.99 ($110).